Now that summer has come to Scandinavia, the air is buzzing with insects at many places. 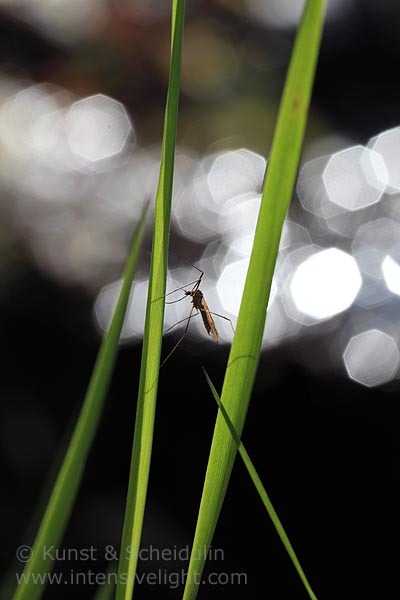 This gnat rests on some blades of grass near a gurgling rivulet. 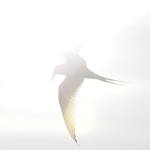 This entry was posted on Saturday, June 9th, 2012 at 9:22 am. It is filed under Animals / Wildlife, New Images and tagged with animal, animals, beck, black, blade, blade of grass, brook, bug, bugs, close, close up, ecology, environment, fragile, glitter, gnat, gnats, grass, grasses, green, insect, insects, Kunst & Scheidulin, macro, midge, midges, mosquito, mosquitoes, nature, nature photography, one, Outdoors, rest, resting, river, rivulet, scandinavia, season, single, sit, sitting, small, spring, springtime, stalk, stalks, summer, sweden, water, white. You can follow any responses to this entry through the RSS 2.0 feed.